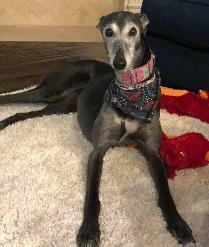 Texas Adopt a Greyhound Society, Inc. is a 501(c) (3) non-profit corporation dedicated to finding loving, responsible and permanent homes for greyhounds. TAGS is a dedicated group of volunteers striving to provide a personalized adoption experience. This dedication goes beyond the adoption to help adopters understand and care for their new greyhound family member. Listen to what Cal has to say about that! As many of you already know, on November 6, 2018, Amendment 13 passed in Florida, and Greyhound racing will be phased out in Florida by the end of 2020. Many more Greyhounds than normal will be looking for forever homes. TAGS supports finding all Greyhounds forever homes and hopes you will continue to support that effort as well. In the months to come, TAGS will need more foster homes as TAGS will take as many Greyhounds into its system as it has foster homes to care for them. 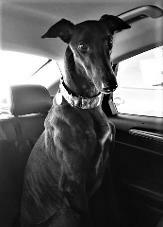 If you live in the Dallas/Fort Worth metroplex and would like to foster a Greyhound, please let us know. TAGS will also greytfully accept all tax deductible donations made to TAGS to help care for its Greyhounds while they look for their forever homes. We wish the best for all concerned as this change comes to the dog racing industry. Help TAGS - click below to make a tax deductible donation. Lyle is now ready for a life of retirement in his lifetime home! Adopting one Greyhound may not change the world, but the world will surely change for that one Greyhound. 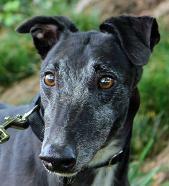 Texas Adopt a Greyhound Society, Inc. is not affiliated with the organization, Grey2K. TAGS is racing neutral.